Quantum physics of nanostructures is a rich and rapidly developing field. Various aspects of quantum transport and fluctuation phenomena at the nanoscale belong to the scope of the most fundamental problems of modern condensed matter physics. Furthermore, continuing miniaturization of devices, gadgets, and electronic schemes together with the quickly growing number of nanotechnological applications also demand profound understanding of the underlying physics. 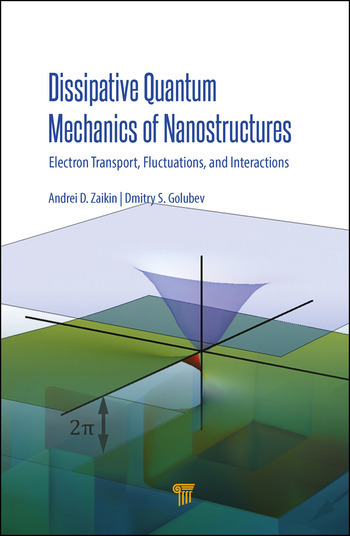 This book provides a systematic and comprehensive coverage of the physical ideas, theoretical methods, and key results of the rapidly developing field of quantum transport and the macroscopic quantum phenomena that take place in the wealth of the available nanoscale structures, where interactions between different quantum degrees of freedom play a prominent role. It presents sufficient details and explanations to facilitate the understanding of the basic physics behind a result and the learning to technically reproduce the result without delving into extra literature. The book maintains a subtle balance between describing theoretical methods and techniques and displaying a rich landscape of physical phenomena accessed by these methods. Andrei D. Zaikin is principal investigator at the Institute of Nanotechnology, Karlsruhe Institute of Technology (KIT), Karlsruhe, Germany, and the I. E. Tamm Department of Theoretical Physics, P. N. Lebedev Physical Institute, Moscow, Russia. Dmitry Golubev is senior research scientist at the Department of Applied Physics of Aalto University in Espoo, Finland.